"Just a quick line to thank you so much for the wonderful service you provided on 1st December for the wedding of our son and daughter-in-law. The bus looked lovely and everyone enjoyed the journey. Thank you also for distributing the bags of sweets and putting the balloons on position. Wishing you and your family a very Happy Christmas and thank you once again." "I just wanted to say a big thank you for Saturday. Thank you for making everything go smoothly and everybody absolutely loved the bus. It was a great way to travel and very fitting for our day. Thanks ever so much." 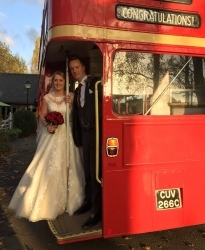 "Dear Carters Vintage Bus Team, Thank you so much for the excellent service you provided for our wedding in May. The bus looked fantastic and all the guests really enjoyed it.."
"Thank you so much for making our son's wedding such a memorable day. The bus really was the icing on the cake. 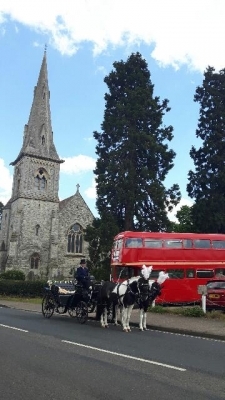 Everybody so enjoyed their journey to and from the church. If we ever need a bus again, we definitely will be in contact with you again. Once again, thank you very much for a wonderful day." "On behalf of the Rotary Club of High Suffolk, thank you so much for providing our guests with most enjoyable transport. 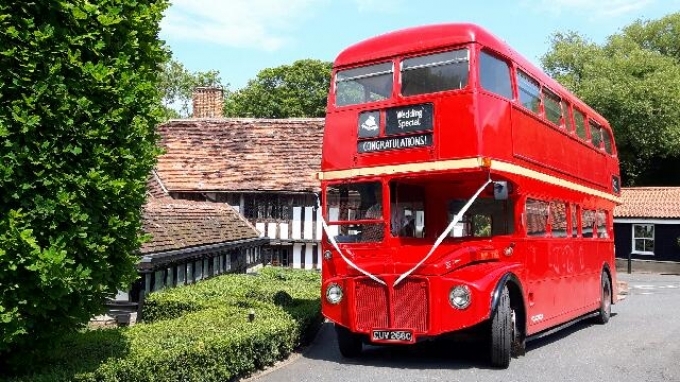 Carter's Heritage Buses' contribution to the entertainment of our guests at the charity event recently held at Ufford Park Hotel on 18-20 May 2018 is much appreciated. Not surprisingly quite a few of our guests have commented that the journey on Saturday afternoon to Crows Hall was most enjoyable. 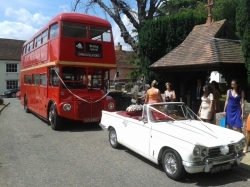 Being able to socialise with friends en route was important to the success of the weekend." 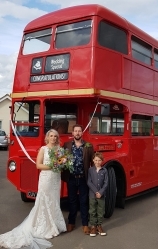 "Just to say a HUGE thank you for your help in making our daughter's wedding day so memorable. 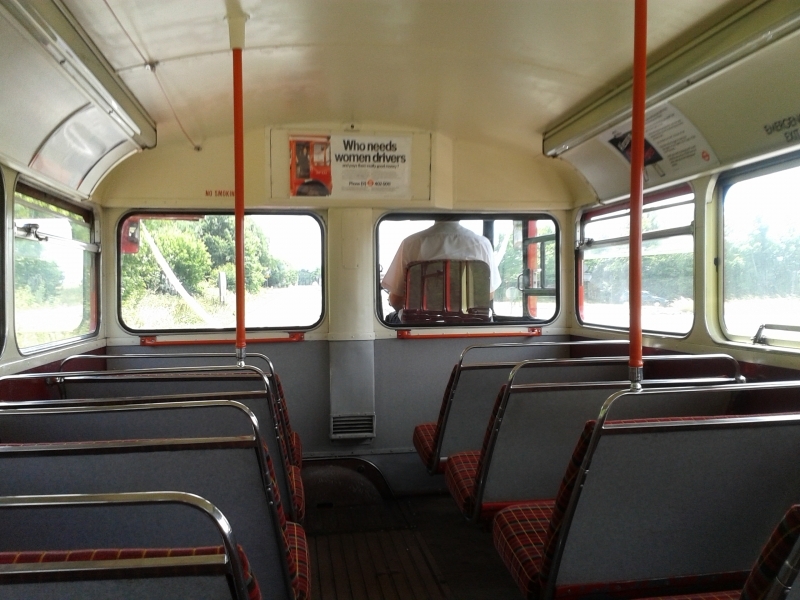 Everything about it, including the transport, exceeded our expectations. It was lovely to get to know you a little via email and telephone.."
"Thanks so much for everything. The bus was a big hit"